Lou Lenzi, FIDSA, is currently professor of practice at Indiana University’s School of Informatics and Computing, on the Indianapolis campus. 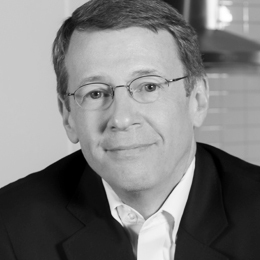 Prior to retiring from GE Appliances as design director in 2016, Lenzi’s entire 36-year career has centered on design, business strategy and innovation leadership in large multinational corporations, including IBM, Thomson/RCA, GE Healthcare and GE Appliances. He has led multidisciplinary, global product design teams in the fields of IT, consumer electronics and home appliances as well as medical systems. Over the course of his career, his design teams have received numerous CES Innovation Awards, IDSA IDEAs, and a Design of the Decade Award from IDSA and BusinessWeek for the DirecTV on-screen user interface and program guide. Lenzi has lectured on design, innovation and its impact on business at numerous academic, trade and professional society venues. He is a 1980 graduate of the University of Cincinnati with a BS in industrial design.